Since the year 2000 up to 2011 my agency, Zimet Marketing Communications in Tel-Aviv, has served Ankara’s Ministry of Culture and Tourism in promoting tourism to Turkey via focused campaigns geared to effectively respond to the changing marketing environment in each of those years. Although Israel is a rather small country, during those years it ranked among the top 10-15 source countries for incoming tourism to Turkey. The image of Turkey, a Muslim country, has always been a unique marketing challenge in the process of promoting tourism from Israel to Turkey. 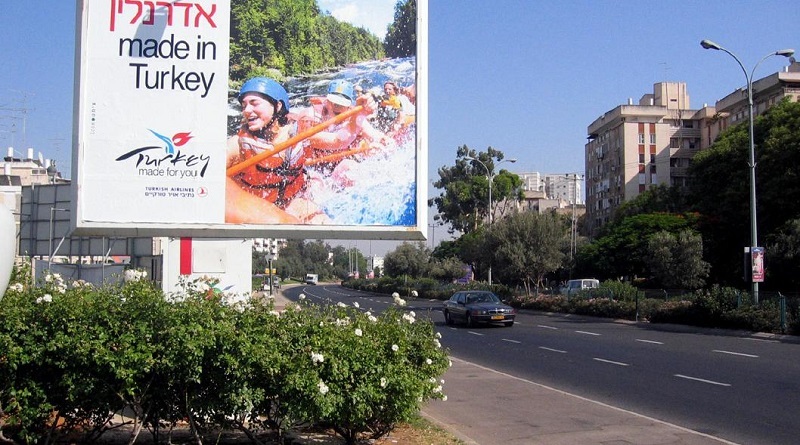 To tackle the challenge, through our promotional campaigns we tried to change Turkey’s image in the heads of Israelis, by focusing on the enjoyable and contemporary attractions of the country. Our task was to divert from a political reality where Israel is banned by most Muslim countries in the world, thus, creating an apriori prejudicial Israeli attitude towards Turkey. In order to attract Israeli tourists to a Muslim country such as Turkey, we had to change the perception of Turkey in the eyes of most Israelis. We did this by hosting high-profile cultural events in Israel’s main cities. Our strategy was to draw attention to the traditionally friendly attitude of Turkey’s authorities towards the Jews within its territory, for more than 500 hundred years. Thus, we advised Turkey’s Ministry of Culture and Tourism to bring to Israel several exhibitions. For instance, “Turkey’s Ancient Arts” was hosted at Jerusalem’s Israel Museum, and replicas of Jewish Synagogues in Turkey were exhibited at Tel-Aviv’s Museum of the Diaspora. The visit of Turkey’s Minister of Culture and Tourism to Yad Va’Shem, the Holocaust Museum in Jerusalem, in the year 2002, was a remarkable gesture of friendship and solidarity towards Israel expressed by the Turkish Government. The visit was much appreciated by the Israeli public, which was reminded of Turkey’s help to fleeing Jewish citizens from Europe during World War 2. In addition, we initiated “Turkey’s Film Festival” in Tel-Aviv, for which we invited many Israeli and Turkish celebrities to an impressive, highly publicized inauguration event. On Turkey’s Independence Day, we organized a showcase of landscape photographs at Tel-Aviv’s Cultural Auditorium, representing sites from all over Turkey, while a famous Turkish pianist was playing before a cheering crowd of music lovers at the Auditorium. All those cultural events were developed together with Israel’s outbound travel industry, and aimed at presenting a different kind of Turkey: an open and friendly destination which could offer so much more than “just” sun and sea. Building on those cultural events, our destination marketing strategy for Turkey was to present it as an experience-rich tourist destination that has it all: A land of contrasts and extraordinary landscapes, a cradle of ancient civilizations set against a contemporary culture, a friendly and attractive bridge between East and West. The repositioning of Turkey away from the sun and sea repertoire and attracting new “quality” tourists was at the core of our communication strategy, namely presenting Turkey as a multi-faceted lifestyle tourist destination. This helped to distinguish Turkey from its geographically close competitors, such as the Sinai Peninsula, Cyprus, Rhodes, Greece and other Mediterranean countries. The campaigns primarily addressed affluent Israelis, but were broad enough to reflect the dreams and desires of multiple target audiences in Israel’s diverse society. 560,000 Israelis visited Turkey in 2008, which secured the prominence of Destination Turkey as Israel’s number one outbound tourism brand. Unfortunately, our efforts to create and maintain a favorable image of Turkey among Israelis have been put to the test by the bitter and enduring Israel-Palestinian conflict. Turkey’s political leaders frequently express blunt declarations against Israel, threatening to undermine the stability of political relations between the two countries, even leading to formal travel warnings by Israeli authorities against visiting Turkey. The result: since the record year of 2008, the number of Israeli tourists visiting Turkey has dramatically decreased. Only since 2016 have Israelis started to express a desire to return to the glittering “all-inclusive” clubs of Turkey – hardly the cultural destination we sought to promote. 1) Promoting tourism to Turkey (and destination marketing in general) should always contain a hands-on crisis management strategy to cope with potentially severe political, security and economic challenges. 2) Never underestimate the power of changing political attitudes and actions, and how they can alter perceptions of a specific country or destination almost over night. Positive perceptions and brand equity created through cultural events and symbolic actions of mutual respect and friendship can easily be destroyed through political actions if they run counter to the desired brand proposition. Daniel Zimet is the CEO of Zimet Marketing Communications Agency in Tel-Aviv. His focus as Senior Fellow at the Center for International Communication, Bar-Ilan University, is on public diplomacy and destination branding strategies. Connect with Daniel Zimet on LinkedIn.